When most companies kill off a neglected product, the damage is usually limited to the few remaining customers that have stuck by it. In the case of Apple retiring iPhoto and Aperture, however, the disruption is much more broad: As iPhoto has been the included image management application on the Mac for years, it’s actively used by millions of customers. And although Aperture never made as many inroads into the professional community as Adobe’s Photoshop Lightroom, it was still the Apple-supplied pro option. 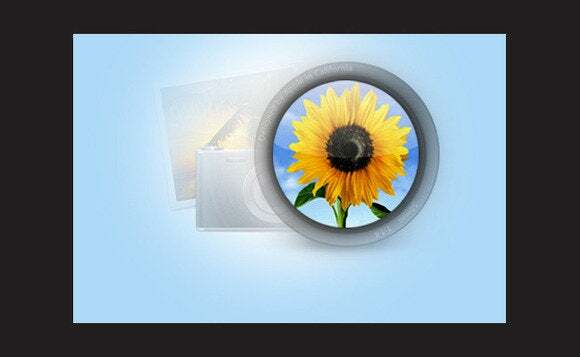 Both programs are being replaced by Apple’s upcoming Photos for OS X application, which at this point is still a mystery: Will it incorporate the advanced features of Aperture, will it be a stripped-down limited clone of the Photos app under iOS 8, or will it be something in-between? It’s important to recognize that you don’t need to immediately block off the next week to migrate your photo library. iPhoto still works and Aperture will be updated to work with OS X Yosemite, scheduled to appear this fall (likely October). That gives you at least a year—assuming Apple won’t continue to support Aperture in the next OS X revision after Yosemite—to plot a strategy, and more important, to evaluate options as they arrive. Second, Apple has said that users will be able to migrate their existing photo libraries to Photos for OS X when the application arrives in “early 2015.” We don’t yet know what that migration process will look like, but it will probably be a built-in step the first time you run Photos that converts the library, just as previous updates to iPhoto and Aperture have done over the years. A big advantage on this front is the fact that iPhoto and Aperture share the same library format. Currently, you can open a photo library in either application without converting the data. Metadata and adjustments applied in Aperture that iPhoto doesn’t have inputs for are simply ignored. I suspect that will be the approach of Photos, pointing to a (hopefully) smooth migration process. If you’re itching to jump to something else, or want to start preparing for an eventual switch, here are a few practical steps you can take right now. Aperture and iPhoto by default store your photos in a single library file (which is actually a “package,” a folder that OS X presents as a single file). The library includes much more than just the image files, including thumbnails of various sizes, database files, and a maze of nested folders. Remove your photos from Aperture: To make it easy for you and third-party applications to access your images, get them out of the library package and into a regular Finder directory. In Aperture, select the photos you want to relocate. To move everything, select Photos in the Library tab and then choose Edit > Select All. However, I strongly urge you to first choose a small subset of photos as a test, to make sure everything moves over correctly. Choose File > Relocate Originals. Relocate your Aperture photo master files. In the dialog that appears, select the folder on your hard disk where you plan to store the images. Choose an option from the Subfolder Format pop-up menu. With None selected, all the photos appear together in the same folder. I prefer the Image Year/Month/Day option, which builds a folder hierarchy based on the photos’ capture dates. Choose a destination and subfolder format. Click Relocate Originals to move the files. Aperture still keeps track of their location, metadata, and any adjustments that you’ve applied in-app; only the original files are moved. Start storing photos outside the iPhoto library file. If you own Aperture, you can alternately open your iPhoto libraries in Aperture and relocate the images from there. When you re-open that library in iPhoto, the app will still be able to work with your images; they’ll just be stored elsewhere. If you choose not to stick with Photos for OS X, or you want to explore your options before 2015, here are some applications that currently manage photo libraries. Most offer trial periods to get a feel for how they work. For applications that offer more powerful library features, look to Adobe Photoshop Lightroom (available as part of the Adobe Creative Cloud subscription’s Complete plan, at $49.99 per month, or part of the Photography Creative Cloud plan, at $9.99 per month), Adobe Photoshop Elements ($99, no subscription needed), Capture One Pro ($299), or Corel AfterShot Pro 2 ($79). Other applications provide a light interface for working with images in the Finder, including Pixa ($30) and Lyn ($20). As I mentioned earlier, iPhoto and Aperture are not disappearing immediately. The best advice right now for most people is to be patient and see what Photos for OS X brings. But if you’re looking to switch away from iPhoto and Aperture now, I have good news and bad news. Switch from Aperture: The process is pretty easy from Aperture, which can export metadata such as ratings, keywords, and location information intact. However, there is a slight complication. The adjustments made to photos you’ve edited apply only when you export the images as versions, which means saving them as JPEG files. If your photos are already in JPEG format, this isn’t an issue. Choose File > Export > Versions and export the images. But if you capture photos in raw format, you can’t go back and tweak an adjustment using a different application (such as changing just the Shadows value or the mix of red, green, and blue channels in a Black & White conversion). The workaround is to export edited photos with their adjustments applied, and then export the photos’ original files separately so you have the option of editing the source files later. Thankfully, Aperture’s Smart Albums make the process a little more manageable. Create a new Smart Album with one rule set to [Adjustments] [are applied], and a second rule set to [File Type] [Is Not] [Raw]. Use a Smart Album to find edited raw photos in Aperture. Select the images and choose Metadata > Write IPTC Metadata to Originals. That adds the ratings, keywords, IPTC data, and other metadata to the JPEG files. This step is important if you’re importing into Lightroom, because Lightroom ignores sidecar files (which are saved in step 5, ahead) associated with JPEGs. Change the Smart Album’s parameters so [File Type] is deselected, which shows all edited photos. Select the photos and choose File > Export > Originals. In the Metadata pop-up menu, choose Create IPTC4XMP Sidecar File. Click Export Originals to save the files. Import the photos into the new application. Switch from iPhoto: If you want to jump from iPhoto to another application, well… it’s a giant mess. The problem is that iPhoto doesn’t export metadata well at all, let alone star ratings or your raw image data. When Apple merged the database formats for iPhoto and Aperture, it blocked all the routes that utility developers used to access the metadata and, for some inexplicable reason, made it impossible to export very much metadata. I offer a detailed workaround in my book “Take Control of Your Digital Photos on a Mac,” but honestly, I’d rather you hold off and wait to see what Photos for OS X offers than buy my book to learn those steps. A cleaner way to switch to another application is to simply start fresh with that program using the photos you shoot going forward. That way, you’re not worrying about migrating your photo library at all. The downside to this approach is having bifurcated photo libraries, requiring that you open iPhoto, Aperture, or Photos to find the shots captured before you started over. But since Apple promises compatibility in Photos with iPhoto and Aperture libraries, even if the new application isn’t as capable as you’d like, you can still access and export old photos.